From the outset, we designed the Fund to provide no-strings-attached awards to those in the news industry looking for some room (and budget) to experiment. Why are we doing this? Because at Google we know from experience that the biggest, boldest ideas often start small. Through the DNI Fund we want to give new approaches the freedom to experiment--and maybe even to soar. We’ve been impressed by both the number and the quality of the applications we’ve received in the first two rounds of funding, and are proud to have funded hundreds including many committed to the important challenges around fact-checking and verification of content. More on past projects can be found on our NEW website, launched today at digitalnewsinitiative.com. To give time for aspiring applicants to prepare, this season’s application round will be open for the next six weeks, ending 20th April. We’re looking for projects that demonstrate new thinking in the practice of digital journalism; that support the development of new business models, or maybe even change the way users consume digital news. Last round we issued a call for collaboration--across industry and across the region--and of course we’d love to see this trend continue. 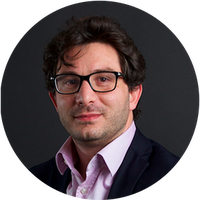 As a focus for this round, we’d also encourage applicants to explore new areas of monetisation to potentially unlock new revenue streams for the industry. The Digital News Initiative, which began as a partnership between Google and a small handful of European news organisations, has grown into an ecosystem of more than 180 now working together to support high quality journalism through technology and innovation, including the open-sourced Accelerated Mobile Pages Project, and the dedicated YouTube Player for Publishers, being used on news sites across Europe. 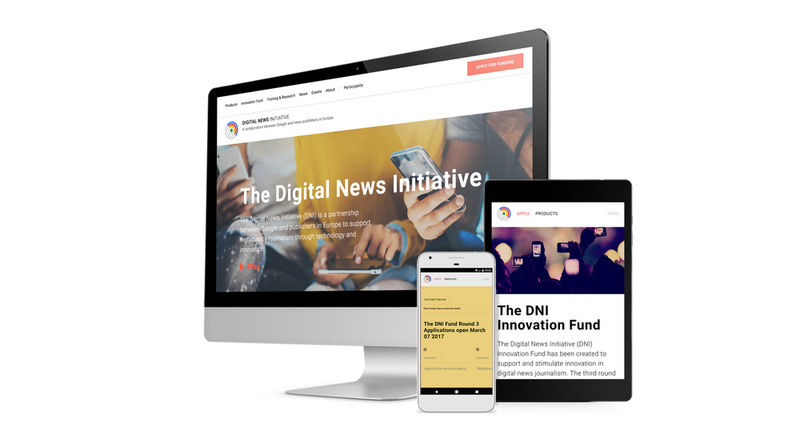 The DNI initiative is open to anyone involved in Europe’s digital news industry, large or small, established or newcomer. We’re looking for projects that demonstrate new thinking in the practice of digital journalism; that support the development of new business models, or maybe even change the way users consume digital news. Projects can be highly experimental, but must have well-defined goals and have a significant digital component. There is absolutely no requirement to use any Google products. Successful projects will show innovation and have a positive impact on the production of original digital journalism and on the long-term sustainability of the news business. The Fund is open to established publishers, online-only players, news start-ups, collaborative partnerships and individuals based in the EU and EFTA countries. Prototype projects: open to organisations - and to individuals - that meet the eligibility criteria, and require up to €50k of funding. These projects should be very early stage, with ideas yet to be designed and assumptions yet to be tested. We will fast-track such projects and will fund 100% of the total cost. Medium projects: open to organisations that meet the eligibility criteria and require up to €300k of funding. We will accept funding requests up to 70% of the total cost of the project. Large projects: open to organisations that meet the eligibility criteria and require more than €300k of funding. We will accept funding requests up to 70% of the total cost of the project. Funding is capped at €1 million. Exceptions to the €1 million cap are possible for large projects that are collaborative (e.g., international, sector-wide, involving multiple organisations) or that significantly benefit the broad news ecosystem. Visit the new Digital News Initiative website for full details, including eligibility criteria, terms and conditions, and application forms. Applications must be made in English and the submission deadline for the first round of funding is 20th April, 2017. We’ve consulted widely to ensure that the Fund has inclusive and transparent application and selection processes. Confidentiality is critical; applicants should not share business-sensitive or highly confidential information. Full details can be found on the DNI website. Initial selection of projects will be done by a Project team, composed of a mix of experienced industry figures and Google staff, who will review all applications for eligibility, innovation and impact. They’ll make recommendations on funding for Prototype and Medium projects to the Fund’s Council, which will have oversight of the Fund’s selection process. The Council will vote on Large projects. Bartosz Hojka, CEO of Agora S.A.
We will announce the next funding recipients before the start of the summer holidays. We look forward to receiving your https://digitalnewsinitiative.com/dni-fund/apply-for-funding applications!